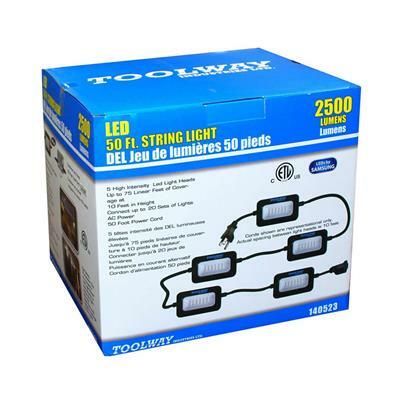 The 50 ft. 5-Head String LED Lights give you 2500-Lumen of total brightness to light up work areas, parking lots, construction sites or anywhere that temporary lighting is required. 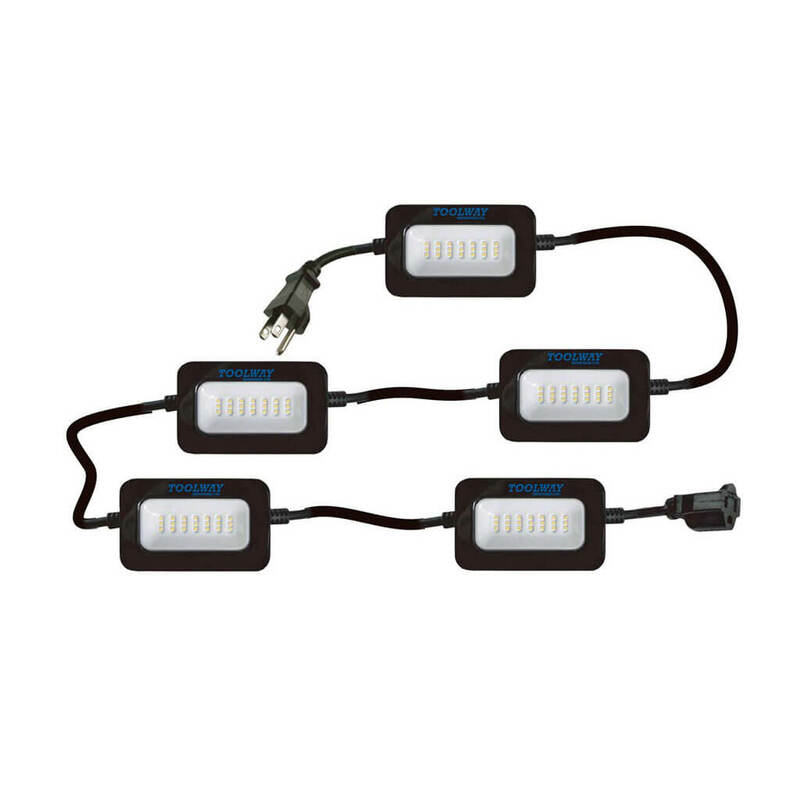 LED lights remain cool to the touch and allow power saving. Can add additional cords to extend length and are equipped with a carabiner to allow for ease of hanging.